It’s been a while since we’ve seen you at the office. If you successfully completed therapy, please know we are so glad therapy helped you get to a better place. We love it when clients graduate from therapy! Others of you kinda drifted away from therapy without completing the work. If that’s the case, I wanted to connect with you. Clients are busy. Sometimes life gets in the way for a few weeks or even a season. It makes sense for clients to pull back from therapy to attend to life issues that legitimately consume them. Administrivia. Clients have intended to rebook, but need to check their schedule and will get back to us…and then three other things need to get done…and the email is never sent, the phone call never made. Life is full, and though the desire is there, setting up the appointment never gets to the top of the list. Clients came for relief and they are feeling better–or at least out of crisis…for right now. And that’s enough. For now. Clients have sometimes disclosed too much and they feel very vulnerable…they fear what the therapist might be thinking about what they have said, or about who they must be to be feeling the way they are. Sometimes, clients feel like they peeked into themselves for a session or two, are a little freaked out by what’s there…and so pull back because it feels too overwhelming. It isn’t a good fit. Rather than say: “I don’t think your approach is going to work for me”, a client simply doesn’t rebook, or cancels the appointment because it’s not working for them. It’s too hard. Therapy is painful, and is bringing up painful stuff. It’s frightening and uncertain. It creates a period of struggle where it feels worse than when you started. Who goes for treatment for a toothache or a backache and keeps going if the treatment makes it more painful? The equivalent of “the dog ate my homework” or “I have to wash my hair”. There are forces internally, which the client is often unaware of that say, “I tell myself I want to drink less/sleep more/be closer to my spouse/____(insert goal here), but there is another part of me that I’m not aware of that actually needs that behavior to continue”. The unstated/unconscious reasons why it is important to not change the behaviour are compelling. The stated reasons are really excuses because there is a part of the client that isn’t ready to do the work, and it is too hard to consciously admit this. This reason is completely beyond a person’s awareness. It isn’t malicious–in fact, the underlying intention is self-kindness/self-preservation. Somehow, for some reason, therapy got dropped some time ago…and now it feels too hard to come back. A client feels embarrassed or ashamed. The client feels too foolish in booking after so much time has lapsed…and so they don’t allow themselves to return. Other reasons…for as many reasons as there are clients who don’t return. Everyone is unique, with different challenges externally, and different barriers internally. All of them matter. It’s hard to re-engage with therapy after a long time away. Sometimes, it feels near impossible to pick up the phone to book another appointment. You can think of every little thing to avoid sending an email to our contact page. Your therapist wants what is right for you at this moment. If it is best for you not to return, then, please–Don’t come to therapy. We really do want what is best for you, and if it is right to not rebook, and to stay away–do that. Please. Never feel pressure to therapy to protect your therapist’s feelings; so your counsellor won’t be hurt. Therapy is about you: come when it works, stay away when that makes sense. Your therapist is open for you to call and rebook. Next week, next month, or next year. It’s perfectly fine to return after several months when you said you would book for the next week. Clients have sometimes returned after 5 years. Whatever is right for you. There won’t be judgement–Promise. We trust you that the timing is always right. There will likely be curiosity about what the absence was about, but that is a therapeutic intervention to unpack it. There might be a valuable learning about a therapy break that will be helpful to uncover. Therapists aren’t perfect. We goof. Sometimes we miss subtle cues…occasionally, even an obvious one. Sometimes we miss things that, to be fair, would have been impossible to see. But it can feel hard to return because something important wasn’t heard…or perhaps you heard something that felt mean or was dismissive. I would ask for you to give your therapist a chance to hear what felt wrong. Sometimes a clarification can clear a misunderstanding up. (I remember being upset at my therapist for a week for something he said, and when I told him the next week how I had been hurt, he told me what he had actually said–which was slightly, but critically, different from what I heard. That was hugely helpful!) And frankly, sometimes, an apology is in order. I value the opportunity to apologize and make the relationship right. Know that your therapist wants to know how you feel, if it felt something was painful–print off this blog and read it if it helps before you tell your therapist what you need to talk about. Sometimes, a client leaves a session and later feels rather horrified. A client can feel raw and exposed–not used to saying the words of a horrible story out loud, feeling ambushed by the powerful feelings that bubbled up during and after the session. We call this a “vulnerability hangover”. We truly work to prevent this from occurring, but sometimes, just showing up at a session brings up more than feels possible to manage. It’s tempting then to decide that therapy was a mistake, and that returning to counselling will compound that error. Can I ask you that it is important to tell your therapist at the next session? It’s hard to return, but that feeling is vital to talk about–and it’s important to get support for that powerful reaction. Therapists are familiar with that powerful reaction to a session, and as much courage as it might take, please return to therapy to process that reaction. If therapy felt too fast, or you felt too pushed, or the therapist talked too much, or felt like they didn’t give you what you needed, it’s hard to return. Around Conexus, please know that we love it when clients teach us about what they need. We would want to discuss how to better work with you. Really. Not every client will find a fit with every therapist. Who walks into a shoe store believing every shoe in their size will feel right on their feet? While therapists have skills to work with a wide variety of people, sometimes it just won’t feel right for you. That’s hard to feel like it doesn’t “click” with a therapist when a person finally decides to go, makes the call, and draws deep to actually walk through the counselling door! I’m really hoping that you’ll give therapy another shot…try a different therapist in the same office, or a different office. 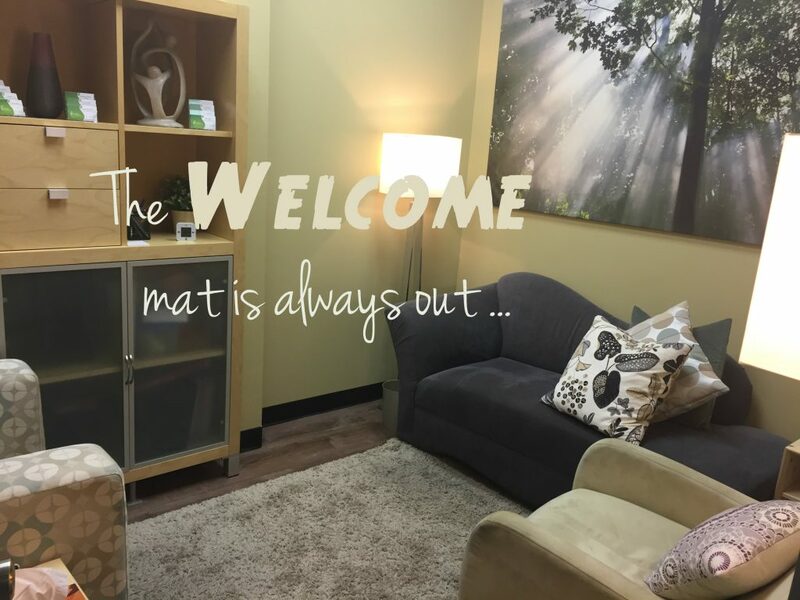 Probably one of the only things that’s more challenging for a client to show up for an initial appointment with a first therapist is to start therapy with a second therapist. But you are worth it…your overall mental health and relationships deserve a second crack at success if a first experience doesn’t feel successful. 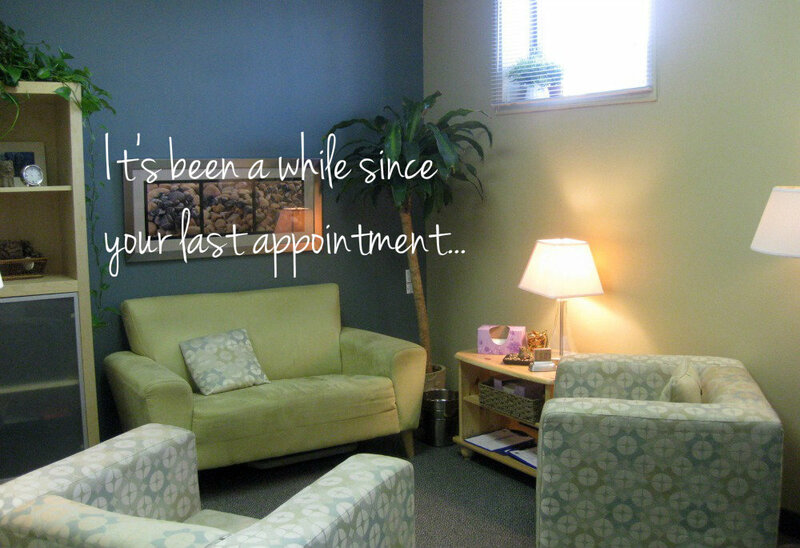 Sometimes clients need a break…and a therapist gets that. Take the time you need, and when you’re ready, return to therapy. need some time to process what’s going on–space out the sessions farther. unexpectedly lose your job and money is suddenly tight, let the therapist know so we can see if we can figure something out. know it’s been a while and life is getting hard again, feel free to rebook, knowing the therapist would welcome further sessions with you. Even if it has been a year. Even if you said you’d call back months ago and didn’t. Even if you left in a position of strength and you are feeling like a failure because you’re in a place of struggle. can’t remember the therapist’s name, or you feel foolish about something you said at the last session, or any other reason why you find it hard to call to rebook with your therapist, know that we honour your courage to rebook and walk in the door. You are significant. You matter. Your relationships and mental health are worth fighting for. It’s not easy starting therapy, and maybe it is even harder to re-start therapy. Please know when you walk through the door of your therapist’s office, no matter how long it is, your therapist will welcome you. 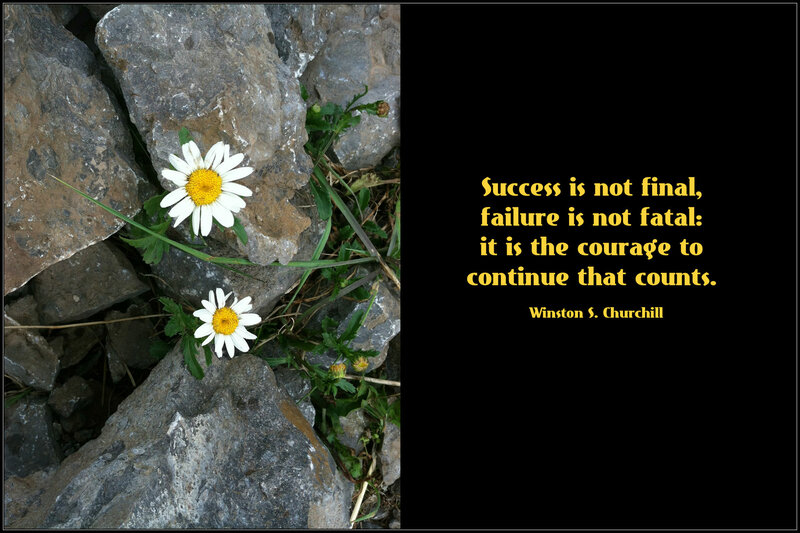 Coming to therapy is an act of courage always, with perhaps an extra dose required when you haven’t come for a while. If it is right for you to come back, the welcome mat is out, waiting for you.